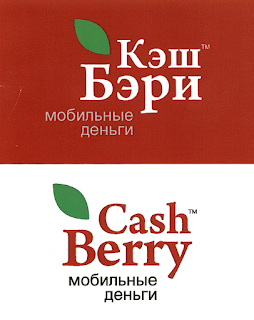 Companies operating under the name of Cashberry appeared to be enjoying spectacular success, but the Central Bank of the Russian Federation found it to be a classic Ponzi scam. Cashberry's business was based on multilevel marketing. 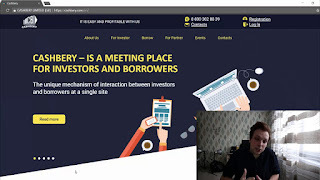 They posed as a P2P investment platform where lenders and borrowers meet. 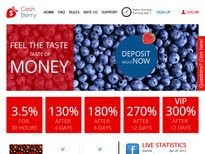 Cashberry used aggressive marketing techniques, pushy advertising, and offered investments with high guaranteed returns. 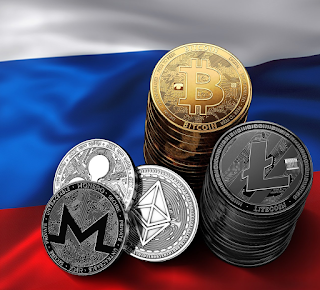 Targeting ordinary people, they set a minimum deposit requirement at 1,000 RUB (about $12), making the trap widely available. The Central Bank reported that no evidence existed of economic activity or legitimacy. Cashberry promised ridiculously high returns. Potential investors were promised 550% on cryptocurrency and 265% by lending money to small and medium-size businesses.